Lynn Rovelstad, the owner of I Made It! Glass Creations refers to her studio as her "field of dreams"... build it and they will come! Lynn’s love of fused glass art began after she left a career in corporate America and took a college level art glass class. After taking every class available and eventually co-opping studio space with other glass artists, Lynn became a professional artist, successfully selling her fused glass artwork to wholesale clients and in retail stores. The seed for I made It! Glass Creations came to Lynn in a light bulb moment when she thought "why should people have to take an expensive college level class to create beautiful fused glass artwork? Maybe it would be possible to set it up in a way that allows for anyone to just make what they would like, without the time commitment, rigidity of project choice or expense of a class." After years of research and planning, I Made It! Glass Creations was born! A women owned community art studio, dedicated exclusively to fused glass, where anyone can just drop-in, pick a project, and create beautiful fused glass art! Since opening in 2016, Lynn has expanded services provided by the studio to include glass fusion art classes, kid birthday parties, team building events, adult parties, home school art classes, and after school enrichment programs throughout the Marin County schools. "The best part of the job is the reveal to the customer. It’s so great to see their face and be able to share in the joy of their artistic ability with fused glass. Nothing makes me happier than when a customer leaves with a smile thinking with pride … I Made It!" For directions to our studio please visit our contact page. Learn more by watching our 30 second video below. 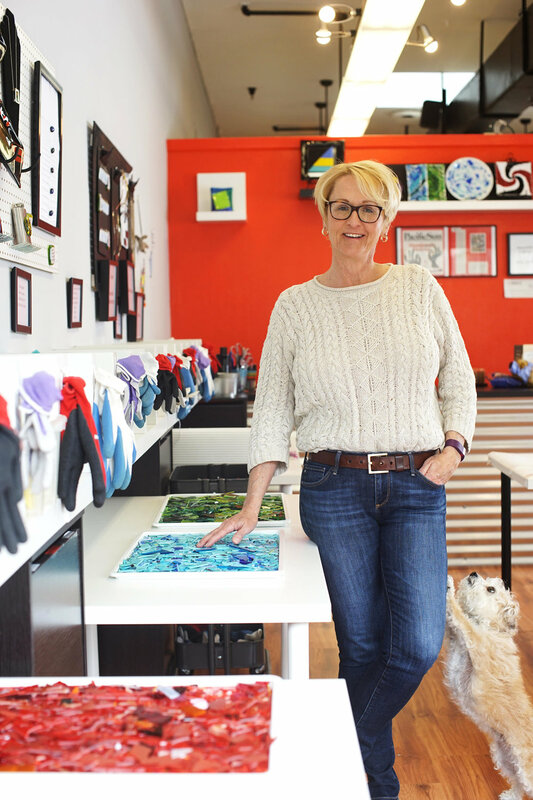 In addition to her passion for fused glass art, Lynn enjoys giving back to her community and is a member of the Mission San Rafael Rotary and Networking Entrepreneurial Women of Marin. She also supports local charity organizations like the YES! Foundation, the Can Do! Foundation, the Kiddo Foundation as well as Youth in Arts and numerous local Marin schools.